Royal Caribbean International President & CEO, Adam Goldstein and VP Mike Ronan, will accept the award on behalf of the company. CaribPR Wire, NEW YORK, NY, Mon. June 3, 2013: Celebrating more than four decades in business, Royal Caribbean International will be honoured for its investments in the Caribbean region during Caribbean American Heritage Month in New York City this June. 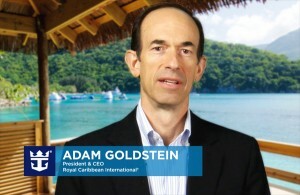 Royal Caribbean International will be presented with the ‘2013 Invest Caribbean Now Corporate Leadership ‘award on Wednesday, June 5th at the Radisson Martinique Hotel, for its substantial commitment in serving the Caribbean region’s tourism sector, the current lifeblood of many nations. The Avalon Invest Caribbean Now forum is the definitive Caribbean investment event, presented annually in conjunction with the Caribbean Tourism Organization, (CTO), the governmental arm of tourism; and digital media company, Hard Beat Communications. Held during Caribbean Week in New York, one individual or corporation deemed as excelling in its investments in the U.S.’ ‘Third Border,’ is selected to receive the coveted award each year. ICN officials are honouring Royal Caribbean International this year for generously investing in the region and developing partnerships with governments and local businesses in twenty countries. Royal Caribbean operates twenty-three ships that call at over twenty Caribbean destinations, bringing more than 8.5 million visitors to the region each year. Over the last ten years, Royal Caribbean’s partnerships have been extensive, generating aggregate investments of over US$200,000,000, including the historic cruise port of Falmouth, Jamaica; Roatan Honduras Town Center and the cruise port in Belize City. In addition, Royal Caribbean operates its private destinations of CocoCay in The Bahamas and Labadee in Haiti. Royal Caribbean International’s CEO and President, Adam Goldstein and Mike Ronan, the company’s vice president of government relations for the Caribbean, Latin America and Asia, will accept the award on behalf of Royal Caribbean. 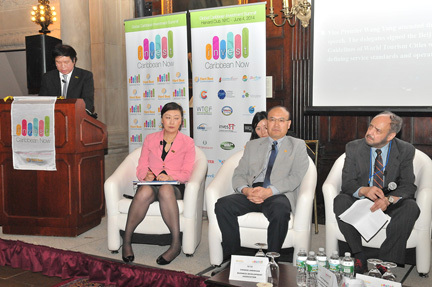 As well, this year’s ICN program will focus on both the US and China’s investments in the Caribbean with speakers including Anthony Eterno of the Caribbean Affairs Office in the Western Hemisphere Department of the U.S. State Department; Xiaoguang Liu, consul in charge of economic & commercial affairs, Consulate General of China, New York; and Jianxin Lin, chairman of the American Chinese Commerce Development Association. 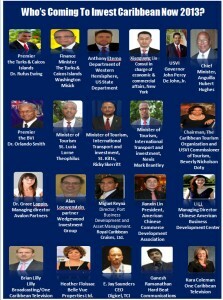 The forum comes on the heels of Vice President Joe Biden’s May 28th trip to the Caribbean for the signing of the United States – Caribbean Community (CARICOM) Trade and Investment Framework Agreement, (TIFA) and the first visit to the region by the new Chinese President Xi Jinping that concluded on June 2nd. ICN 2013 is sponsored by marquee sponsor Avalon Partners; gold sponsors, The Turks & Caicos Islands Investment Agency and Royal Caribbean Cruises Ltd.; bronze sponsor, One Caribbean Television and supporting sponsors, The Chinese American Business Development Center, the American Chinese Commerce Development Association and No-Jet-Lag.